You can certainly go to the Picacho De Galipan if you are feeling an urge to visit an extraordinary scenic spot. The El Picacho is nothing but a mountain axis that looks charming from different angles. The spot is a significant part of the El Ávila National Park. Reaching to the very spot is pretty easy as you can rely on an easy route here. You can enjoy a wonderful hike at this place with your companions. Once you reach the destination, you will be happy to see the picturesque Venezuelan central coast. According to many people, this spot has a mystic energy of its own. You must not forget to bring your camera as the charming surrounding deserves to be clicked. Generally, tourists prefer visiting top attractions of Caracas like Mamma Mia, Museo De Arte Colonial, Malabar, Cafe Ole and Hotel Altamira. These are few of the top things to do in Caracas. Caracas is replete with experiences which can be enjoyed with any of the Caracas tours! Make your visit suitable to your interest, use Caracas trip planner for personalization. Explore the best Caracas vacation packages that will take to you important landmarks of the city! For getting in, check out how to reach Caracas. Love this? Explore the entire list of places to visit in Caracas before you plan your trip. Fancy a good night's sleep after a tiring day? Check out where to stay in Caracas and book an accommodation of your choice. How popular is Picacho De Galipan? People normally club together Avila Mountain and El Hatillo while planning their visit to Picacho De Galipan. Un lugar encantador, clima excepcional, bueno para un picnic después de la agradable caminata. Genial. Les recomiendo sigan al grupo de senderista con proposito en Facebook e Instagram... Que tu mover sea con Propósito! 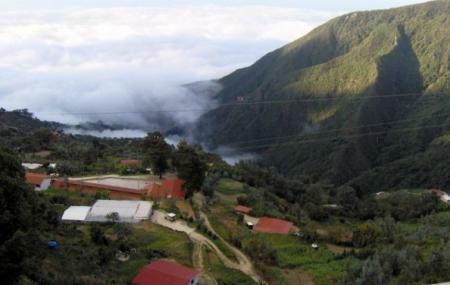 Hermoso Pico de nuestro querido Waraira Repano, situada al lado oeste de Galipán. El Picacho se diferencia de otras montañas por tener una vía de acceso mucho más sencilla. Cuenta con un camino bien diseñado que rodea la cima de la montaña hasta llegar a la parte más notable y extrema. Muchas personas creen que la montaña El Picacho posee una energía mística. Es un destino turístico que te impactará por su imponente formación rocosa y su grandiosa belleza capaz de enamorar a todos sus turistas.